The main goal of the Large Marine Vertebrates Project Philippines is the conservation of marine biodiversity in the Philippines. To achieve this objective, LaMaVe is leading a series of research projects across the Philippines where scientists work together with local communities to ensure an adequate protection of marine megafauna. LaMaVe offers internships and research assistant positions for students and early career scientists to develop their field research skills while actively contributing to conservation. Odyssea field scientists have joined forces with the LaMaVe team notably to study whale shark behaviour in Cebu and Donsol. Mingan Island Cetacean Study (MICS) is a non-profit, charitable research organization based in both Canada and the United States, dedicated to ecological studies of marine mammals and marine ecosystems. Founded in 1979 by Richard Sears, MICS was the first organization to carry out long-term research on cetaceans in the Gulf of St. Lawrence and first to carry out long-term studies on the endangered blue whale. The principal study areas include the Quebec North Shore in the Mingan Island / Anticosti region, the Gaspé Peninsula and St. Lawrence Estuary. Odyssea researcher Anna Schleimer uses the long-term data (photo-ID and biopsy samples) collected by MICS for her PhD on fin whale ecology in the North Atlantic with the Universities of St Andrews (UK) and Groningen (NL). 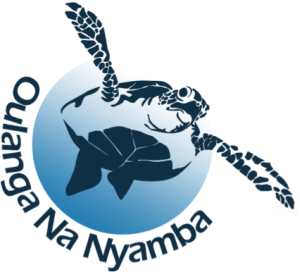 The Oulanga Na Nyamba Association was founded in 1998 in order to raise awareness about marine turtles in Mayotte where poaching still occurs. Literally translated the name of the association means “environment” and “marine turtles”, which they try to protect actively with outreach projects to the public and protection of turtle nesting sites. Research projects aim to increase our knowledge on the ecology of the animals in order to be able to implement effective management plans. Jenny Wagner from Odyssea is the secretary of Oulanga Na Nyamba and spends most her time in Mayotte. Turmares is a whale watching company operating in the Strait of Gibraltar from Tarifa, Spain. Designated as Biosphere Reserve, the Strait of Gibraltar is one of the best places for whale watching in Europe, where up to seven species of whales and dolphins can be observed. Turmares has been Odyssea’s partner for many years for our Tarifa whale and dolphin research field courses. During our stay in Tarifa, we use the Turmares boats as platforms to teach students about photo-identification and behaviour of marine mammals. We have had many unforgettable encounters with wildlife on our trips, including killer whales and fin whales! 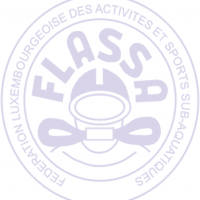 The Luxembourgish Federation of Underwater Activities and Sports partners with Odyssea on several projects. You can find a list of associated clubs here. 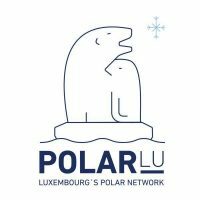 Polar.lu is Luxembourg’s Polarnetwork, a non-profit association which organises conferences and educational outreach events for the general public and with schools in Luxembourg. Their main purpose is to promote the polar regions, from the Arctic to Antarctica, in a fun and accessible manner. The enthusiastic team regroups scientists, Inuit, teachers and people who are simply passionate about the polar regions. In order to live their passion for whales, dolphins and the ocean, Skippers Bernd and Juliette moved on board their 20m sailing yacht Milagro in 2015. Now they are offering sailing holidays in the Canary Islands and the Azores, always on the lookout for marine mammals, turtles, sharks, sea birds and other marine life. With Bernd´s nearly 20 years of experience in cetacean research in the Canaries, they want to contribute to local conservation efforts and combine field research with nature holidays. So they have joined forces with Odyssea to offer internships for young researchers or other marine wildlife enthusiasts on board their sailing ship. Pacific Whale Foundation’s mission is to protect our oceans through science and advocacy using marine research, education and conservation programs. Through their ocean ecotours, they have already reached nearly 3.5 million people, sharing their passion about the marine environment, while raising needed funds to support vital whale and dolphin research studies, educational programs for children and adults, as well as important conservation programs, including their fight to stop commercial whaling. PALO SANTO TRAVEL is a small company born in Puerto Lopez, part of the Machalilla National Park, Ecuador, since 2013. Their mission is to become an environmental friendly tourism company dedicated to give their guests the best experiences with nature. Part of their team are biologist and whale researchers, who interact with guests and raise awareness about key marine conservation issues. Pierre Gallego worked with Palo Santo while he was collecting samples for his PhD. The SouSA project is an inter-group collaboration on the scientific research on Indian Ocean humpback dolphins in South Africa. With less than 1,000 individuals left in the country, the humpback dolphin is South Africa’s most endangered dolphin species! The project aims to determine the conservation status of humpback dolphins along the South African coastlines, which will be vital to ensure appropriate management actions to be put in place. Whalefish is a global network of scientists who dedicate their time to the research and conservation of our oceans’ wildlife. They work under the motto “Connect, Share & Inspire” with a strong focus on creating opportunities and offering career advice for aspiring students, early career researchers and marine enthusiast alike. They are also aiming to bridge the gap between the scientific community and the public and engage in scientific communication, education and outreach programmes. The SnT is the interdisciplinary centre for security, reliability and trust, based at the University of Luxembourg. The centre conducts internationally competitive research in information and communication technology, ICT, with high relevance creating socio-economic impact. Odyssea is currently collaborating with the SnT Automation & Robotics Research Group on a research project which will involve the use of drones to study marine mammals.